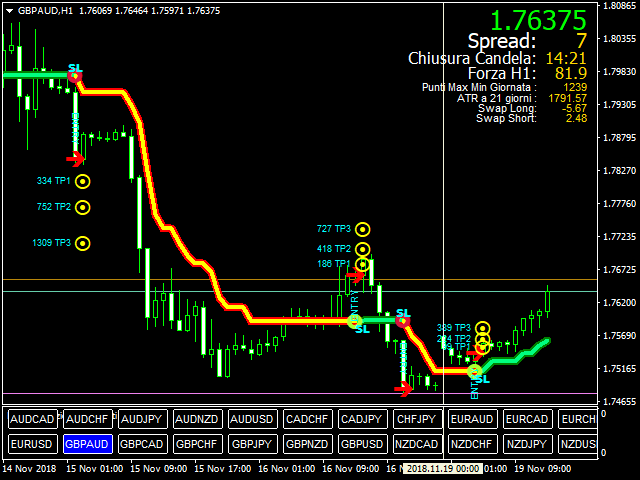 Trend indicator with Multi-level Take Profit indication. Possibility to setting in normal or Aggressive mode. 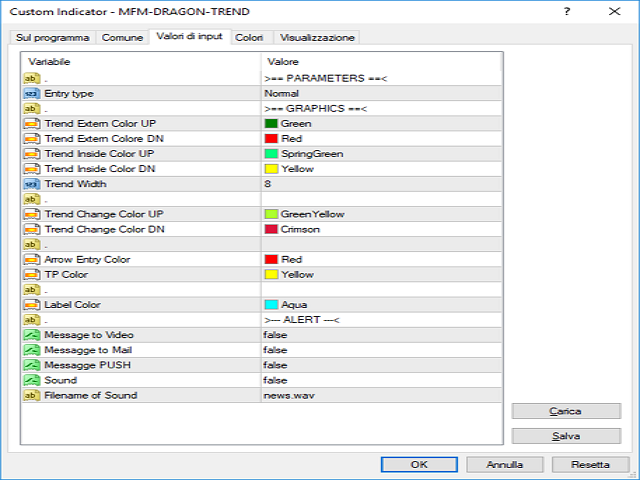 Fully customizable in color and alarm. No need to explain, see the images. You'll se the trend, 3 possibly target and stop loss (or other take profit) when the trend change. You can adopt various strategy, for example. 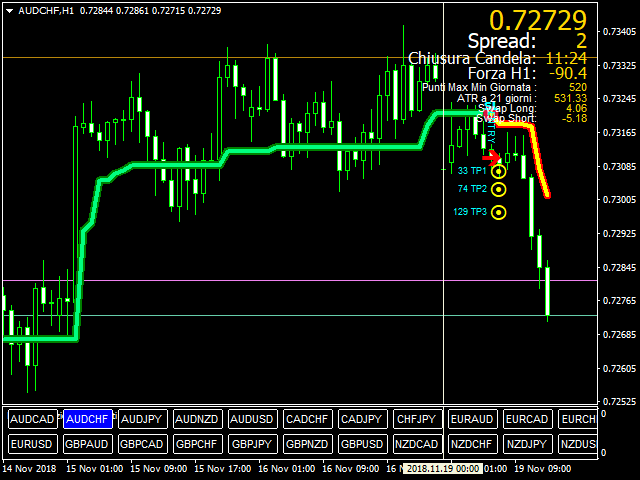 2) Open 3 trade at entry, close 1 trade at target 1, stop in pair for other 2. Close trade 2 at target 2, put stop for trade 3 at target 1. Wait since cahnge of trend. But remember this is only an indicator ..... not the truth !!! and excellent support from Marco. Some improvement and bug fixed. Possibility to setting Take Profit in period and multiplyer.